I've had many fall makeup requests over the past few weeks, so today I'm showing you the eye shadow palette I have been using for the fall season, the BECCA Ombre Rouge eyeshadow palette. I have been wearing the same eyeshadow combinations for a while now, and felt like trying something new, so I picked up this palette. I wasn't sure I would like it because of the tinges of red (hence the 'rouge') in the shades, but I was pleasantly surprised! These are very natural looking shades that would be universally flattering. I like them because they bring out my eye color and are still quite subtle. In this week's video, I apply the eyeshadow and show you swatches. I also give a quick tutorial on how to apply eyeshadow on a hooded eye. Whether you have this palette, or not, I hope I provide inspiration to use whatever fall makeup you do have to change your le no makeup look with the season. Also featured in the video are the usual suspects, YSL Faux Cils burgundy mascara, Urban Decay primer potion, Laura Mercier Eye Art Artist's Palette and CHANEL Rouge Coco lipstick in Mademoiselle. On my nails is OPI Barefoot in Barcelona. 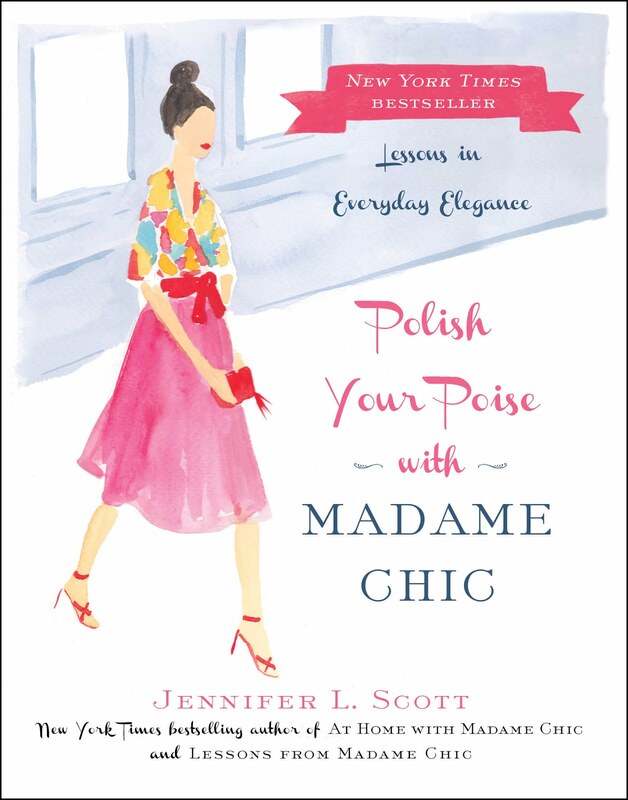 The Slovak translation of Polish Your Poise with Madame Chic is now available from Ikar. Hi Kristen, Your advice really reinforces that what we post on Facebook is important. Thank you for sharing your experience as a paralegal with us! This week, I would love to know... what is your favorite fall makeup right now? Do you have hooded eyelids like me? What are your tricks for applying makeup? FTC: This is not a sponsored post. Opinions are always my own. This post may contain affiliate links. In today's etiquette chat video, we are discussing Facebook etiquette. Social media is the new frontier as far as etiquette is concerned. How are we to know what to do, and what not to do, on our various social platforms? Facebook is arguably the most popular social media platform and, let's be honest, we all have Facebook horror stories: postings, behaviors and pictures that we have seen from friends and/ or family members that have created etiquette conundrums. In today's video I highlight many major etiquette do's and don'ts for Facebook. Of course we don't cover all topics. (I didn't even get into politics!) But this can turn into a small series, if there is more you'd like me to address. Please reference Lessons from Madame Chic's chapter on cultivating an air of mystery for this one. We all know people who overshare on Facebook. Maybe we do it ourselves! We let everyone know what we are doing at all times: what we are eating, where we are going, what we are thinking. The right amount of sharing on Facebook will be different for everyone, but it's a good idea to question whether you share too much or not. Facebook is mainly a place to express yourself to friends and family, but always consider your professional life before you post. You do not want to vent about work on Facebook because it could get back to your boss! In the same vein, you shouldn't post compromising pictures that could put off a potential employer. Always think about your professional presence as well as your personal presence when posting on Facebook. If you attend a wedding (or another special event) always check with the bride and groom before posting pictures to Facebook. They most likely will want to be in control of what pictures are released and when. Never steal someone else's thunder on Facebook. This is the biggest one for me. We must always consider our child's best interests before posting pictures of them on Facebook. In most cases, they are too young to understand the implications of an online presence. If we do post pictures of our children, we must make sure that they are not embarrassing (the children are fully clothed, etc.). The rule of thumb is, if you wouldn't want a picture of yourself doing a certain thing (i.e. sitting on the potty), don't post a picture of your child doing that thing. Check out this week's video for much more expansion on all of these topics. The Madame Chic Collection is on sale November 1st! There are limited quantities of this special edition set. Be sure to preorder yours today on Amazon or Barnes & Noble. It makes a perfect present! I would like to keep this message short even though I would like to say so many things! When one of my favorite bloggers (Kathryn Morgan) first recommended you, I just knew I had to read your books and watch your YouTube channel. But I truly believed it would be solemnly about how to be chic, poised, and elegant. I never imagined it would change my life! For the longest time I thought I was being pretentious (lol) for trying to be a certain way most people today are not. However, I would try. But not like I needed to and wanted to. Until I read your books! And like I mentioned before, it wasn't only that, but you taught me so much more! You opened my eyes to enjoying life immensely in a very simple form. For that and so much more I want to say, I thank you so, SO very much!!! You have no idea the impact you're having (even if it's just one person, right? Which of course it isn't...)! I very much look forward to hearing and seeing more from you in the future! Our week of recipes concludes on The Daily Connoisseur, with one of my favorite new breakfasts: overnight oats. Overnight oats consists of oatmeal, paired with a variety of mixings and toppings. It sits in your refrigerator overnight. Come morning, you have a delicious breakfast! Overnight oats are to be eaten cold, you do not need to warm them up. They taste like a decadent pudding. I made the sour cherry kind for my mother this week and she loved them! I hope you enjoy them too. I find that having a consistent base for overnight oats is helpful when coming up with new combinations. Mix all ingredients in a mason jar, bowl or drinking glass. Sweeten, if desired. Now that you have this base recipe, you can add any toppings you like. In today's video, I share three flavor ideas with you: chocolate almond, sour cherry and blueberries & cream. If you are unable to see the video above, click here, look in the sidebar, or visit my YouTube channel. Start with the base recipe (I sweeten this one with a tsp of honey). To that, add 1 tsp unsweetened cocoa powder (I use Rapunzel Pure Organic Cocoa Powder ) and 1 heaping spoonful of almond butter. Top with chocolate chips and chopped almond, if desired. Start with the base recipe (I sweeten this one with Truvia or Sweet Leaf). Top with whole cherries (I use frozen ones). Garnish with a small dollop of sour cream (Crème fraîche works well here too, if you can find it!). Start with your base recipe (I sweeten this one with 1 tsp maple syrup). Add a small handful of blueberries. Add a touch of whole cream, if desired. Enjoy! Our week of cooking continues on The Daily Connoisseur, with today's Shepherd's Pie recipe. Shepherd's pie (or to be technical, cottage pie, since this recipe uses ground beef) is great for feeding a large crowd of people. This recipe makes three extra large pies. I love to have these on hand in the freezer to bring out when unexpected guests arrive. Shepherd's pie is lovely served piping hot with a side salad and dinner rolls. It's a hearty dish that is welcome comfort food during the fall and winter seasons! This meal is adapted from my Great British Cooking cookbook. Cook the chopped onion with a few tablespoons of olive oil on medium high heat in a large pot until the onion is soft, about 5 minutes. Place the ground beef into pot and cook until brown. Drain the fat from the cooked meat and return the meat to the pan. Add the tomato paste and stir. Add the bouillon and flour and stir until incorporated. (You may omit the flour if you prefer... it just thickens up the mixture more.) Add 3 cups of broth and 1 cup of water. Season with salt and pepper, if desired. Cook for 5 to 10 minutes more, but do not allow the mixture to get too dry. 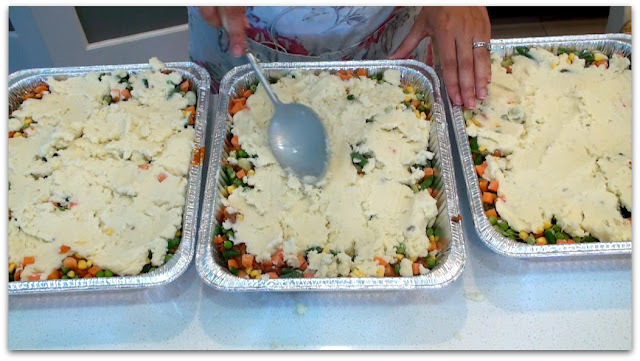 Divide the meat mixture in the bottom of three disposable aluminum foil baking pans (or 6 small pans for smaller portions). On top of that, place a layer of mixed frozen vegetables (or you could use frozen corn, or any combination of chopped fresh vegetable). Finally spread a layer of mashed potato on top. I like to make my mashed potato the day before so there is not too much work to do the day of assembly. To freeze: Cover your pans with aluminum foil and label them with the date and cooking instructions. To bake: Thaw in the refrigerator the night before. Then bake at 350°F for one hour, or until the pie is fully heated through. To bake from frozen: Place frozen pie in the oven at 350°F for 1 hour 30 minutes. Add additional time, if needed, to cook thoroughly. You may sprinkle parmesan cheese on top if you wish. It's nice to place the pie under the broiler for one minute before serving, to make it golden brown. Check out today's video in order to see the recipe being made. If you are unable to see the video above, click here, look in the sidebar, or visit my YouTube channel. I am having some friends over to do "Investment Cooking" i.e. : making things for the freezer. I think we've found out menu! As always, thanks for sharing. I just love your posts. Hi Lucia, what a wonderful idea! Getting together with your friends to do an afternoon of cooking would make the process so much more fun. Enjoy! I hope you enjoy today's recipe. Come back on Friday for my overnight oats recipe. See you then! You know my motto: being chic is being prepared. Today I'm sharing another freezer cooking session with you. Why do I like freezer cooking? (It doesn't exactly sound like the chicest of activities!) I like to schedule an entire afternoon to cook delicious homemade meals for the freezer, because they always come in handy. You never know when you will have unexpected company, or when you will be too tired to cook, but still in need of providing a healthful dinner for your family. In today's video, I take 5 lbs of chicken breast, and with it, make 3 chicken pot pies, 2 chicken enchilada casseroles and one chicken crockpot chili. Before I share the recipes with you, here is my secret for perfect shredded chicken. Take your chicken breast (in the video, I'm using 5 lbs, but you can use any amount) and place it in a crock pot (I use the All-Clad Slow Cooker ) with enough broth to cover the meat. Do this at night before you go to bed. Set it on low for 8 hours (when it finishes cooking, the crock pot will just keep it warm for you). When you wake up in the morning and are ready to cook, take the chicken out of the broth, and place it in your KitchenAid mixer with a little bit of the broth. Mix the chicken with the paddle attachment, until it is shredded. So easy! Melt one stick of butter in a large pot and add the chopped onion. Stir until the onion is soft. Add the flour, and cook until the white powderiness (is that a word?) is no longer visible. Now add 2 cups of chicken broth (from the slow cooker) and 2 cups of low fat milk. Stir until creamy, about 5 minutes. You could add any combination of vegetables you like. If you are really short on time, you could just add 6 cups of frozen mixed vegetables. I have done that in the past, and it turned out great! Now, add 4 cups of shredded chicken (add more if you like a meatier pot pie). Add salt and pepper. Distribute the filling into three pie tins lined with a bottom crust. Place the top crust on, trim the edges with a knife, and seal with a fork around the perimeter of the crust. Cut some slits into the top to vent, and you are done! To prepare the pies for the freezer, cover them in plastic wrap and aluminum foil. If you use plastic wrap, don't forget that it's there. Be sure to remove it before popping it into the oven! To cook a pie, thaw it out in the refrigerator overnight. The next day, bake the pie at 350°F for one hour. Leave a layer of foil on the pie for the first 30 minutes so the crust doesn't burn. To bake the pie from frozen, bake at 350°F for 1 1/2 hours. All ovens are different, so you will need to check the pie and add time as needed. You may brush an egg white or some melted butter on top of the crust to make it golden brown. This chicken pot pie is so delicious! Served with a salad, it makes a hearty meal. Heat some oil in a large pot and cook the chopped onion, until tender, about 5 minutes. Add 6 cups of shredded chicken and stir to incorporate. Add 2 28oz cans of green enchilada sauce. Stir. Add 6 cups of chopped greens (I use spinach, kale and swiss chard in this video). Cook over medium heat until the greens have cooked down. Now assemble the casseroles. Start with a layer of the chicken mixture as a base, then add a layer of corn tortillas. Add a layer of the chicken mixture and then sprinkle the cheese on top of that. Repeat until you reach the top of the casserole, sprinkling cheese on top. To prepare for the freezer, wrap the baking dish with aluminum foil. I use aluminum foil disposable baking pans. To cook, thaw in the refrigerator overnight. Cook in a preheated 350°F oven for 1 hour. To cook from frozen, cook in a preheated 350°F oven for 1 1/2 hours, making sure to check that the casserole is cooked through before serving. This is delicious served with salsa and sour cream. Garnish with chopped cilantro and chopped green onion. Place all ingredients in a Ziploc freezer bag. When ready to cook, thaw in the refrigerator overnight. Place in the slow cooker in the morning. Cook on low 8 hours, or high 4 hours. Serve with sour cream, shredded cheddar cheese and chopped green onion. Used York City cites inspiration from Lessons from Madame Chic in her post on NYC Fall Wardrobe Staples. At Home With Madame Chic and Polish Your Poise with Madame Chic are now available in Taiwanese from Cube Press and Citic Publishing, Ltd. Look at these beautiful covers! Thank you for the recipe. It turned out great and my 4 year old loved it so much that I sent a bit in thermos for lunch today! Hi Suze, wonderful news that your child loved the soup! As parents, the relief we feel when our children actually like a vegetable dish is satisfying, isn't it? I hope you enjoyed this week's video, and feel inspired to spend an afternoon making freezer meals for your family. It's a lot of work, but it pays off in the end. I'll see you on Wednesday and Friday again this week for more recipe videos. It's a week of cooking on The Daily Connoisseur. See you then! FTC: This is not a sponsored post. As always, all opinions are my own. This post contains affiliate links. I had the wonderful opportunity of interviewing the authors of Paris Nights: My Year at the Moulin Rouge , Cliff Simon and Loren Stephens. Congratulations to my friends @cliffmsimon and Loren Stephens on the publication of their book, Paris Nights, about Cliff's year dancing at the Moulin Rouge. Cliff served as principal dancer at the Moulin Rouge, and I could not wait to interview him about his favorite things to do in Paris. I hope you check out our fun interview as we discuss our favorite city, along with the lovely Loren Stephens of Write Wisdom. 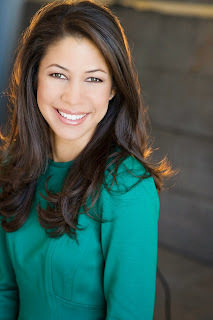 Learn more about Loren Stephens on her website, Write Wisdom . Please note: Paris Nights contains adult language and themes and may not be suitable for younger readers. After watching my closet tour video, many people requested that I share how I steam my clothes. I really do prefer the steamer to the iron when it comes to smoothing out my clothes. The steamer is a gentler way to get the creases out, and you don't have to bother with an ironing board and hot iron (which always makes me nervous in a house with small children!). Steaming is really easy. You fill the chamber with water, making sure not to exceed the maximum line. Wait for the water to get hot and bubble and then you are ready to go. 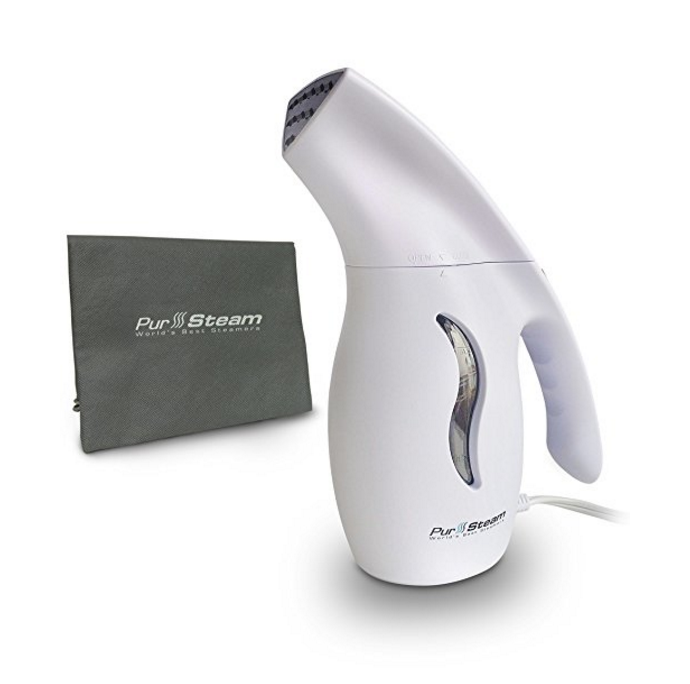 You can let the steamer touch most fabrics as you move up and down the garment, never staying in one place for too long. If you are steaming a really delicate fabric, such as lace or silk, I would recommend keeping the steamer at a distance of at least an inch. Always make sure your garment is hanging. Never use a steamer on something you are wearing as you can easily burn yourself with the hot steam. Make sure you keep the steamer out of reach of children as well and always avoid tipping it over. 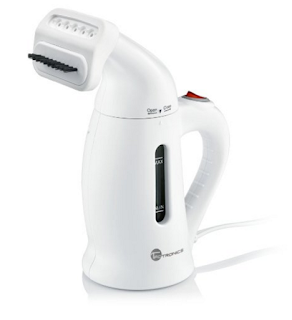 The steamer I use in the video is My Little Steamer - GO MINI For some reason, it is listed as $37 now, but I believe I paid less than that when I bought it two years ago. Because this price point seems high, I'm also listing two other less expensive steamers that actually have better reviews online and are bestsellers as well. PurSteam Fabric Steamer $29.99 This steamer has excellent reviews and is a bestseller on Amazon. It's worth checking out! 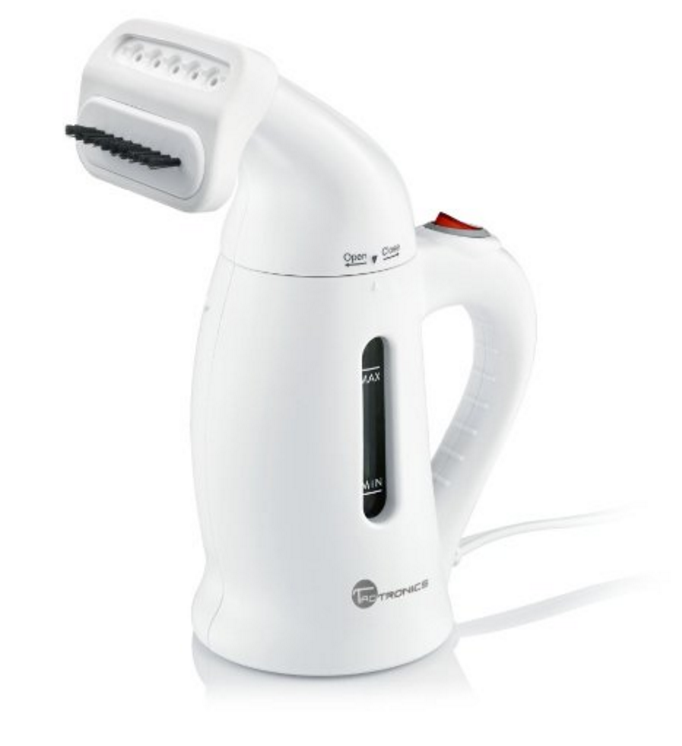 TaoTronics Garment Steamer $21.99 This is another bestselling travel steamer that has excellent reviews and is more affordable than the one I use in the video. 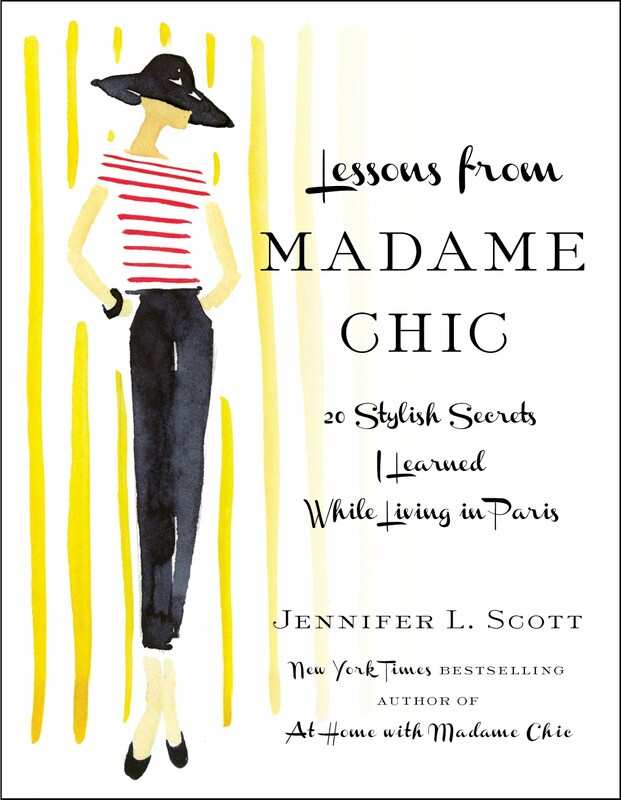 Classy Yet Trendy blog recommends reading Lessons from Madame Chic for capsule wardrobe inspiration. 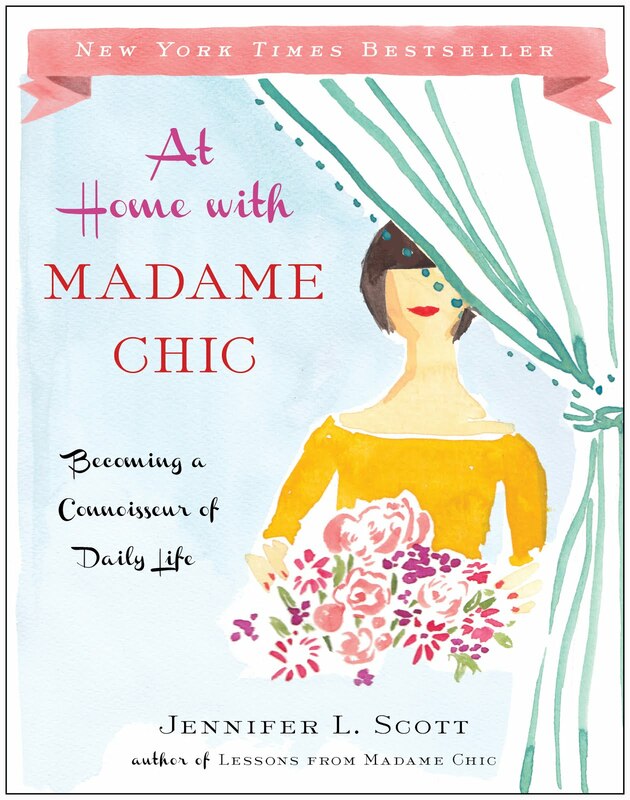 Teri Harman lists At Home With Madame Chic among inspirational books in her post, Book List: Women Who Learn. **Thank you to everyone who let me know I left out the step of adding milk in my recent Broccoli Cheddar Soup Recipe blog post . I have since updated the recipe notes. The milk is added right after you add the broth. Thank you to everyone who made the soup, and let me know how delicious it is! Hi Jennifer! I love this week's video because it so clearly illustrates your message that we are aiming for presentability and effort, not perfection. I think it this world of Pinterest and Instagram filters, it is easy to think "I don't have the time or energy today to do it perfectly, so I am just going to schlepp it today!" But you really inspire your readers by the consistency and genuineness of your message. Also, regarding your previous message about 10 item wardrobes when one works outside the home. I do, and as a consequence I do not practice a strict 10 item or even 20 item wardrobe. However, your approach has really helped me develop an entirely different attitude towards clothes purchases. I now do not shop for recreation. I buy less and buy better. I try to use my best everyday and try to keep my wardrobe down a small size. I feel more comfortable wearing items in frequent rotation. So, I would say that even though I do not follow a strict 10 item wardrobe, I implement the principles faithfully. My goal for this season is to try to cull down my wardrobe even more. I always adopt the 5 min Le no makeup look, because at 45, I definitely need it now! Dear Daesman, Thank you for your comment! I love how you make the ten-item wardrobe work for you. You are not hung up on the number "ten", but are working toward the perfect capsule wardrobe for your life. I hope you continue to enjoy the process! See you all on Thursday for a special bonus video, where I interview Cliff Simon and Loren Stephens, the authors of the new memoir, Paris Nights.